Lakresha works very hard in the Healthcare field. Seems she has given herself justifiable rewards for her hard work. 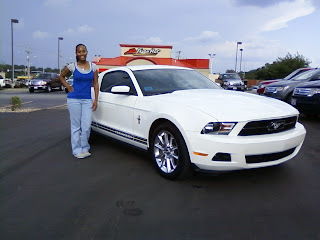 Check out her New 2010 Ford Mustang.